Canada must prove it is serious about Asia if it wants to be welcomed as a key player. Meeting with the national chairs of the Pacific Economic Cooperation Council (PECC) in Vancouver last week, Canada’s International Trade Minister Ed Fast worked hard to make a convincing case that Canada is serious and is engaged for the long term. 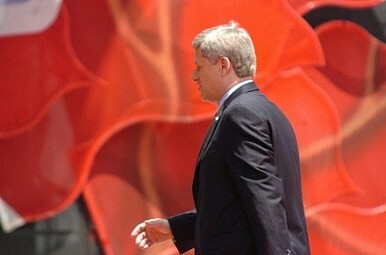 He cited as evidence his numerous trips to Asia-Pacific countries, Prime Minister Harper’s visits to the region, including visits to China and India, and the bilateral trade agreements that Canada is negotiating in the region – with Korea, India and Japan (although none have been completed and the Canada-Korea agreement has been under negotiation since 2004). While there has been a flurry of activity by Canadian officials (Defence Minister Peter MacKay attended the Shangri-la Dialogue meetings in Singapore, while lobbying for Canadian participation in the ASEAN-led Pacific Defence Ministers meeting), public opinion in Canada is following rather than leading. In its 2013 National Opinion Poll, the Asia Pacific Foundation of Canada documented that while Canadians are increasingly recognizing the growing importance of Asia, they are approaching it with less enthusiasm than in the past and have reservations about inward investment from Asia, especially in the resources sector. Enthusiasm for engagement with Asia drops as one moves from west to east in Canada. Reflecting this ambivalence, the Canadian government, after approving CNOOC’s $15 billion takeover of Canadian oil company Nexen, stated that future acquisitions in the oil industry would be off limits to state-owned enterprises (SOEs). Now it has taken this decision a step further by announcing in recent enabling legislation that the definition of SOE will include any entity that is controlled or influenced by the government of a foreign state, directly or indirectly. That means even minority investments by SOEs could be subject to special review if it is determined that foreign governments are behind a particular group of investors. What was once a bright line with regard to foreign control has become distinctly blurred. Against this backdrop of unfolding debate, PECC, a unique non-governmental, multilateral policy “think tank” established in 1980 as a precursor to APEC and encompassing 26 economies in the Asia-Pacific region, came to Vancouver for its 21st General Meeting. The last time PECC had convened such a gathering in Canada was in 1986. The meeting was held in conjunction with Canada-Asia 2013, a major conference on Canada’s relations with Asia organized by the Asia Pacific Foundation of Canada, attended by the great and the good from business, government and academic circles across Canada. The theme, Charting Canada’s Asia Strategy, raised a number of questions. Will the current level of interest be sustained? Will Canada’s interests move beyond trade, energy and natural resources? What needs to be done to prepare the next generation? Comparisons were made with Canada’s more vigorous efforts in Asia in the past, and with Australia’s recent policy white paper, Australia in the Asian Century. PECC’s noted that its work in the areas of trade policy, financial markets, inclusive growth and service trade can offer insights on these issues, and PECC pledged to work with Canada as it works out its Asia Pacific strategy. Through a Vancouver Statement issued to mark the conclusion of its meeting, PECC welcomed the desire expressed by Canadian leaders to re-engage more closely with the region. There are still questions that need answers. Will government and business in Canada commit the resources needed to follow through on the rhetoric? Will Asians and Asian governments accord to Canada the role that it is seeking, and treat it as a full Asia-Pacific stakeholder? The jury is still out, but the hand of welcome extended by PECC is a good sign that Canada will be welcomed back into the region as a key player provided it proves that it really is serious about Asia.